Making a game properly mod-able and data driven is something one should make a decision about early on because it impacts so much of the structure of the code and data. In our case with Ludus we decided that the mod-ability would be a key focus both because we are interested in what players will do with it and because we want to be able to easily extend the game without having to re-work things at the core of the code-base. Keeping things easy to change is hugely important when projects grow into a larger scope. It also forces us to drive a bit of a wedge between data and the core systems that process that data in a good way. We use a number of external tools when developing the game such as Chat mapper (A great non linear dialogue editor with Lua support) and a whole host of graphics programs. Unity’s general approach to data loading at runtime is to have ‘asset bundles’ but this would require that the asset are first opened by the modder in Unity Pro (a paid license) and then turned into asset bundles one by one. We instead wanted to use more open, easily editable file formats that can be edited by standard programs for its data type, and also be editable using only cost free software so we don’t place any extra cost on people who would want to mod the game. Helpfully, Unity comes with a ‘StreamingAssets’ folder which doesn’t get compressed when built, so we have an easy place to put any files that we want to ship with the game, and in doing so providing a great example of how to create content for the game for the modders since that is also where we store most of our own data. We make extensive use of this folder and have made several simple file loaders in the game to deal with each type of data. The data ranges from simple things like weapon attributes and character names to more extensive data like dialogue files, scripts and graphics. 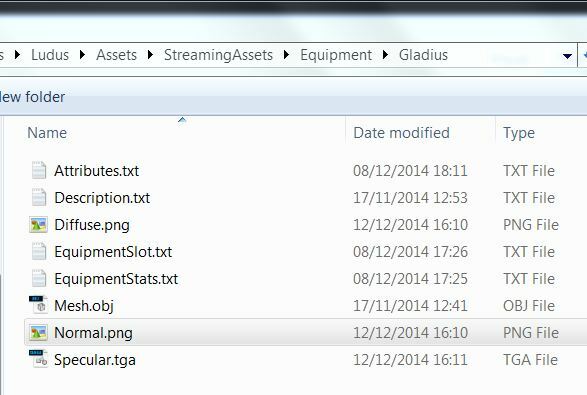 The ‘Gladius’ equipment folder containing all the information needed to load the sword in game. The image above is a typical data folder as we have it right now. The game knows to look in the Equipment folder any time it needs to load (Surprise!) equipment data into the game, and all the file types are easily editable. The .obj file for the mesh can be edited in any 3d program, the stats/attributes and descriptions can be opened in any text editor, and the diffuse, normal and specular maps can be opened in regular image editors. 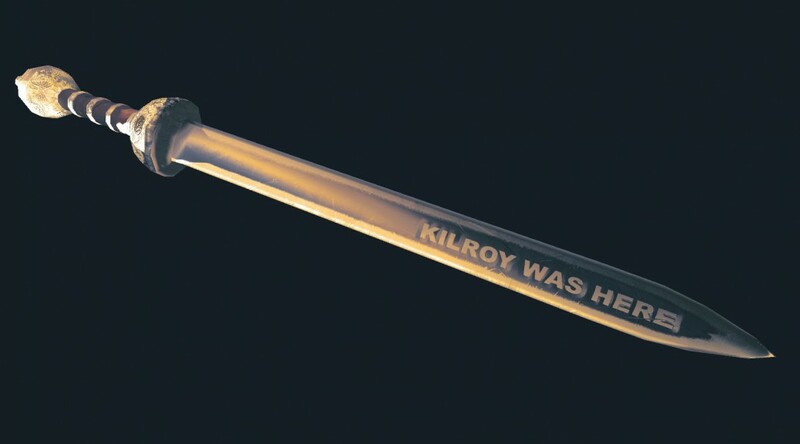 The folder contains everything the game needs to know about the piece of equipment, and can be copied and renamed to make a new version of the Gladius. 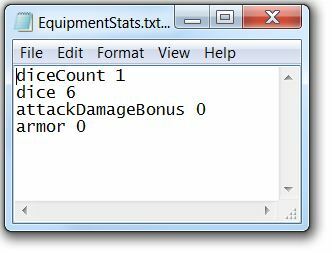 The equipment stats and other small data are done as easily readable .txt files with key-value pairs. Luckily there isn’t anyone in the executive, legal or marketing departments that have thrown a fit about us openly sharing the raw content from our game with the players, mostly because those departments don’t exist, so we will most likely share all this content under the CC by NC license. One of the issues of making the game so mod-able is the impact it has on performance and this is a compromise we have to work with. Luckily since we made the choice to make it mod-able early on, we could have this and other pit-falls in mind from the start and do some things to mitigate this such as compiling new assets automatically and thereby loading them faster next time.